The emotional center of our brain is controlled mainly by the amygdala and dopamine. We’ll focus on the amygdala this week. 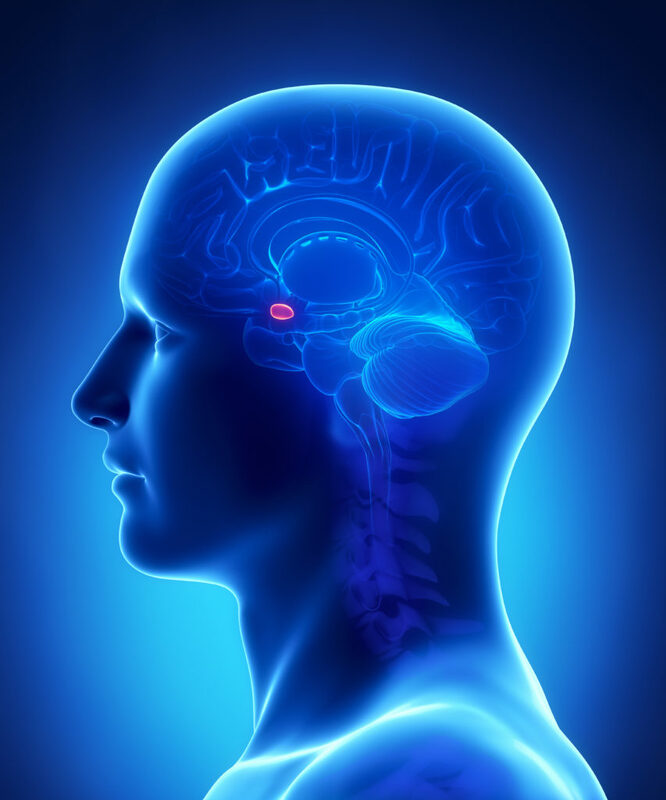 The amygdala is a small almond-shaped mass located deep within the temporal lobes of the brain. When you think of the amygdala, you should think of one word: Fear. The amygdala is the reason we are afraid of things outside our control (the market!). It also controls the way we react to certain stimuli, or an event that causes an emotion that we see as potentially threatening or dangerous (a market crash!). Think of how crucial the amygdala was to the cavemen. When a caveman stumbled across a saber-toothed tiger millions of years ago, you better believe his amygdala sent fear signals throughout his brain prompting him to fight or flight in order to stay alive. Although most of us don’t exist in a world in which we have to worry about animal attacks each day, the amygdala still plays an important role in keeping us safe in our everyday lives. We sense fear when our children climb too high on the jungle gym, or when we look out over the ledge of cliff we hiked to while on vacation. These are necessary emotional responses for survival. However, what good the amygdala does for us in our daily lives, is countered by the amount of bad it does to our investment portfolios. We should (hopefully) all logically agree that the best investment plan is to buy low and sell high. But what happens when we experience an ordinary, and not unprecedented, 20% correction in equity markets? Our amygdalas all kick in at the same time, hijacking our pre-frontal cortex, which is responsible for logical decision making, and we simultaneously scream, “Sell, Sell, Sell!” A perfectly natural and acceptable response to what are brain has told us is a dangerous environment to exist in. In other words, our brain wants us to remove ourselves from the current situation and sell low as quickly as possible. So if we know that buying low and selling high is logically sound, but we also know that we’re likely not be logically sound when confronted with the next down market, how then do we protect ourselves from selling low and buying high in the future? We believe the answer is in having a well thought out plan in place for such events, and following a consistent re-balancing strategy to remove as much emotion as possible. More on emotions next week when we see how dopamine influences our investment decisions.